Suffer of Conjunctivitis, Red Eyes or Ocular Allergy? Generally an eye infection is called conjunctivitis. This is a type of infection where the delicate clear lining that covers the white part of the eye and lines the inside of the lids becomes infected and inflamed. Typically there are three main types of infection 1) Bacterial 2) Viral 3) Allergic. Due to the inflammation caused by the infection the conjunctiva (which is normally fairly transparent) becomes red and sometimes swollen. If possible get to an eyewash station as soon as possible. If there is no eyewash station in the vicinity then get to a sink or water fountain in order to rinse the affected eye for at least 5 minutes (typically best to do this for longer than you think). No matter how the eye is feeling after the eyewash it is important to follow up with your eye care professional to make sure that no damage has occurred. If you have symptoms of pain, redness, loss in vision, or swelling then it is important that you be seen that day. suggested that you go to Misericordia Hospital where there is a 24-hour eye emergency service. If this comes on suddenly and you have a significant amount of NEW floaters (spots floating in your vision) stemming from one eye it is important that you see your optometrist to rule out any potential retinal issue that may be correlating to these new spots. These floating spots are in the vitreous gel of the eye and can simply be related to an age-related change, but they can also be indicative of a retinal tear or retinal detachment and these need to be ruled out by your optometrist. Sudden flashes (typically in a dark room when you move your eye around) are usually caused by vitreal traction. This occurs when the gel is potentially separating from the retina (a normal age-related change) and is pulling on the retina as it separates. This too should be reported to your optometrist as soon as possible. Both of these symptoms should be seen as soon as possible and becomes particularly urgent if you are experiencing a change in your vision (often a peripheral veil-like change) or loss in part of your vision. Infections can be dangerous if left untreated. Bacterial infections, in particular, can lead to corneal ulcers and can cause a permanent loss in vision and even blindness. Typically this will depend on the type of infection your child has. Children can be particularly susceptible to viral infections which can quite contagious. This type of infection is often referred to as “Pink Eye.” Typically your optometrist will suggest the child stays home from school for a few days to avoid contaminating other people at the school. Increased hygiene is key during this time and we suggest that children and their parents increase their hand washing and avoid any sharing of pillows or towels. It can be as it can cause a corneal abrasion as you blink or rub your eye. The best option is to do an eye-wash for longer than you think to see if you still have what we call a ‘foreign body sensation.’ If you continue to have a feeling that something is still in the eye then it is best to see your optometrist. Eye washing is always the best first option. Often patients don’t do this long enough so as previously mentioned do an eyewash longer than you think. Instilling artificial tear lubricant / moisturizing drops can also help to wash out whatever may be in there. If you continue to have a feeling that something is still in the eye then it is best to see your optometrist. This may be an indication of dry eye or a potential infection of the cornea (clear cap at the front of the eye). Always best to not wear your contacts for a few days and start with a fresh, new disposable contact lens. If you continue to have this feeling then it is best to see your optometrist. As per the Mayo Clinic instructions please do the following: If chemical splashes into your eye, take these steps immediately. Get into the shower and aim a gentle stream of water on your forehead over your affected eye. Or direct the stream on the bridge of your nose if both eyes are affected. Hold the lids of your affected eye or eyes open. Put your head down and turn it to the side. Then hold the lids of your affected eye open under a gently running faucet.If you have access to a work site eye-rinse station, use it. Young children may do best if they lie down in the bathtub or lean back over a sink. Pour a gentle stream of water on the forehead over the affected eye or on the bridge of the nose to flush both eyes. 2. Wash your hands with soap and water. Thoroughly rinse your hands to be sure no chemical or soap is left on them. 3. Remove contact lenses. If they don't come out during the flush, then take them out. Don't put anything except water or contact lens saline rinse in the eye. And don't use eye drops unless emergency personnel tells you to do so. After following the above steps, seek emergency care by an eye specialist (ophthalmologist) or call 911 or your local emergency number. Take the chemical container or the name of the chemical with you to the emergency provider. If readily available, wear sunglasses to help reduce sensitivity to light. Typically the severity and seriousness of a scratched eye depend on where the child got scratched. Generally, if a child has scratched their cornea (clear cap on the front of the eye) they won’t want to open their eye at all. Major tearing will begin to occur and their pain will be very high (i.e. lots of crying). The lids usually end up quite puffy and the entire eye will become quite red. If they scratch any other part of the eye their pain level will usually be much less, but the eye itself will often become quite red. No matter what if you think they have scratched any part of their eye it is important that they are seen by an eye care professional as soon as possible. It should be noted as well that if a corneal abrasion has occurred there are important steps to follow afterward in order to avoid future complications that are known as recurrent corneal erosions (RCE). Yes, an abrasion can become infected and can cause major damage to the eye and long-term scarring which can impact the future vision of your child. An infection can lead to a corneal ulcer which can cause permanent blindness if left untreated. Yes. Blunt trauma can cause major inflammation inside the eye including inflammation of the retina (commotio retinae). If left untreated inflammation can lead to permanent scarring and vision loss. Bleeding can also occur at different parts of the eye that a person may be aware of just looking at the eye from the outside. Retinal tears or detachments can also occur following blunt trauma. If there has been any blunt trauma directly to the eye that is associated with pain, vision loss (or parts of your vision missing), new floaters or flashes in your vision then you should see your eye doctor. If you can’t see your eye doctor within 24 hours then we would suggest going to the ER. In Winnipeg, the Buhler Eye Centre at Misericordia still has 24 hour urgent eye care services. s office hours then we suggest going to Misericordia Urgent Eye Care. Children’s Hospital at HSC in Winnipeg can see your child, but they won’t have any ophthalmologists available for emergencies and usually refer back to Misericordia. Depending on the age of the child, questioning whether they feel like something is in their eye or if they feel that they aren’t seeing well from that eye would be appropriate. If they describe any vision loss or new things floating in their vision they should be seen by an eye doctor within 24 hours. Best to have it checked by your optometrist to rule out trauma, allergy, inflammation or an infection. Better safe than sorry. Your optometrist will be able to identify the bump and whether or not it is something that you need to be concerned about or not. Your optometrist will be able to refer to the pediatric ophthalmologist if necessary. Yes. Anyone with sudden vision loss should be seen by an eye doctor within 24 hours. If you have no pain, no vision loss, no discharge and the white part of the eye (or part of the white part known as the sclera) is blood red then it may be a sub-conjunctival hemorrhage. These will look much worse than what they are and are often associated with a Valsalva maneuver (lifting something heavy, sneezing, coughing, vomiting, constipation, etc…). These will generally self-resolve within 1 week and can look worse before they get better as gravity pulls the blood downward. The area may turn brownish to yellowish before going away. If the bleeding lasts longer than 1 week or if you are on blood thinners then you should see your optometrist. Yes. Double vision (aka Diplopia) can occur for a variety of reasons and should be seen by an eye doctor to establish the reason for the diplopia. The reasons for diplopia can range from age-related to a cranial nerve palsy or even related to a vascular issue. If you are having severe eye pain you should be seen by an eye doctor within 24 hours. Either by your optometrist or at the ER (LASIK & Refractive Surgery Co-Managementideally Misericordia Urgent Eye Care in Winnipeg). Often this can be related to a sinus infection or sinus problem. Pockets of sinuses surround the eye and eye pain stemming from behind the eye can become infected. Eyestrain can also cause a pain behind the eye and can sometimes indicate that there is a change in your prescription (or a need for glasses if you don’t wear them already). If this pain is a chronic and ongoing then it is best to see your optometrist to rule out where it might be coming from. Studies have shown that an overwhelming number of emergency room visits could have been treated by an optometrist. These ranged from foreign bodies to severe eye allergies to eye infections as the most common reasons for emergency room visits. It is not always necessary to go to an emergency room for eye emergencies. 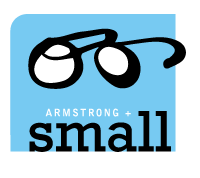 Our eye doctors in Downtown Winnipeg, MB are equipped to treat the majority of eye emergencies.